With The WiFi enabled RemoteLock 6i, You Can Lock Or Unlock Your Door Remotely. Know Who Enters Your Property And When. Receive Text Alerts When Codes Are Used. Issue New Codes Or Delete Codes From Your Computer Or Phone. Even Give Temporary Codes To Neighbours Or Guests. There is an emerging trend among accommodation providers to provide keyless access to their properties. 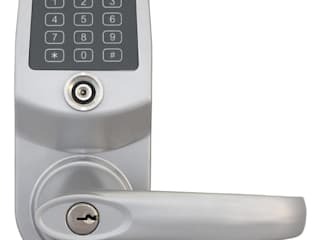 Wi-Fi enabled keypad smart locks remove the need for physical keys or cards. 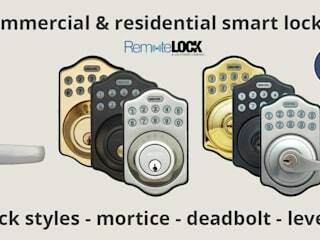 Whilst mechanical keypad locks are not new, by adding Wi-Fi connectivity the dumb lock becomes a smart lock that will save the owner, time, money and hassle. 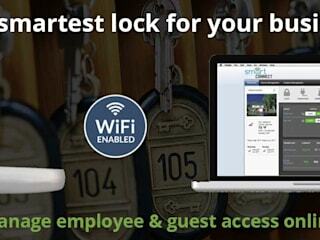 In addition the Remotelock is currently the only smart lock to fully integrate with AIRBNB.